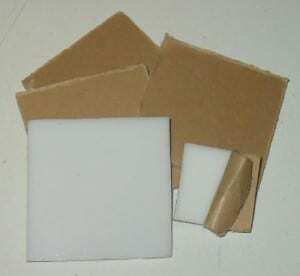 You get 10, pre-cut, large plastic squares, suitable for scrimshaw practice or art work. Each square measures approximately 2 in. x 2 in. x 1/8 in. Just peel off the protective paper and the squares are ready to use. No polishing needed.